Manager's message to supporters following Newcastle defeat. Watch the action from Saints' Premier League trip to Newcastle. Watch all the key moments from St James' Park in 90 seconds. Watch the midfielder's reaction to Saints' reverse in the north-east. Højbjerg: Saints showing "not good enough"
Watch the manager's verdict on Saturday's encounter. Boss laments lack of focus as Saints leave themselves too much to do at Newcastle. Hosts make early breakthrough en route to convincing win. Find out what Rafa Benítez had to say ahead of Saturday's Premier League showdown. Saints' stand-in skipper shares his thoughts with nine games to go. Everything you need to know ahead of Saturday's game. Defender speaks from the heart on Premier League run-in. 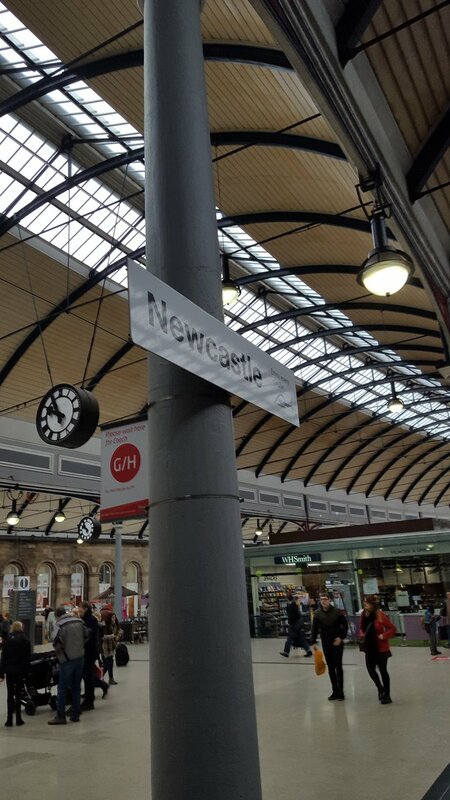 Check out our traveller's guide before making the trip to Newcastle this weekend! Tackle our quiz ahead of Saints' trip to Newcastle. Watch Saints continue preparations for this weekend's Premier League tie. Preparations continue for this weekend's Premier League clash. Both will miss out on the trip to Newcastle, the manager has confirmed. Saints boss Mauricio Pellegrino looks ahead to Saturday's trip to Newcastle. Mauricio Pellegrino's men gear up for Magpies meeting. Saints put in the work at St Mary's ahead of Newcastle trip. The key statistics ahead of Saints' trip to St James' Park. Get the lowdown on this weekend's opponents. Kenedy's first-half double and Matt Ritchie's low third seal the points for the Magpies at St James' Park. A bizarre moment from Dubravka almost hands Saints a consolation goal. The Czech 'keeper attempts to throw the ball out and nearly presents the ball to Gabbiadini but the Magpies defence quickly recovers. Decent effort from Josh Sims: the youngster ducks inside on his left foot and whips a shot at goal which goalkeeper Martin Dubravka does well to punch clear. Stephens goes into the book for an off-the-ball incident involving Newcastle's Ayoze Perez. Third and final change for the visitors here as Gabbiadini comes on for Carrillo. A half-chance for Saints here as Bertrand meets James Ward-Prowse's corner unmarked but can only steer his header wide of the target. Matt Ritchie side-foots beyond McCarthy into the bottom corner from inside the D.
Kenedy, on a hat-trick, takes Yedlin's cross on the chest, swivels and slides a half-volley just past the far post from the edge of the area. Hoedt is cautioned for a trip on Perez. ...and Josh Sims is on for Mario Lemina. Take a look through a selection of action shots from the first half at St James' Park. Kenedy's double has put the Magpies in control at the interval. That second goal for Newcastle was a real sucker punch. Saints had looked to have steadied the ship before the hosts doubled the lead with an impressive counter-attack following a corner. A lot to do here. Newcastle double their lead from the resulting corner. Lemina slips on the edge of the box and Newcastle punish ruthlessly as Kenedy taps in at the back post from Gayle's cross to round off a sweeping counter-attack. A flowing move involving Ward-Prowse, Carrillo and Cédric ends down the left with Redmond who darts inside and sees his cross deflected behind for a corner. We've nothing to show for it as yet but it's been all Saints since Kenedy's opener inside 70 seconds. Newcastle defending stoutly as we approach the midway point of the half. Newcastle push back down the left through the Ayoze Perez. The Spaniard carries the ball from the halfway line into the Saints penalty area but makes a mess of his cross. Right, can we recover? Saints have gone about it the right way so far, keeping the ball confidently inside the Newcastle half. Very nearly a second goal for Newcastle. Jonjo Shelvey shapes a superb pass around the back of the Saints defence for Dwight Gayle who can't control the ball with Alex McCarthy rushing out to collect. SHOWTIME at St James' Park! COME ON, SAINTS! We're edging closer to the big kick-off here at St James' Park. Both sets of players have finished their pre-match warm-ups and we await the teams in the tunnel! Watch Alex McCarthy's pre-match interview as he looks ahead to today's crucial Premier League clash. We're in position at St James' Park, where both sets of players are warming up in front of us. Stay with us as we countdown to kick-off! they're another team around us and three points for both teams is massive at this stage. we've stuck together as a squad and we know we've got the ability. Mauricio Pellegrino makes a pair of alterations to his starting line-up following the goalless draw with Stoke last time out, as James Ward-Prowse and Pierre-Emile Højbjerg return to the fold at the expense of Josh Sims and Oriol Romeu. Starting XI: Dubravka, Yedlin, Lascelles, Lejeune, Dummett, Ritchie, Shelvey, Diame, Kenedy, Perez, Gayle. Subs: Darlow, Clark, Manquillo, Merino, Murphy, Atsu, Joselu. Starting XI: McCarthy, Cédric, Stephens, Hoedt, Bertrand, Lemina, Højbjerg, Ward-Prowse, Tadić, Redmond, Carrillo. Subs: Forster, Bednarek, Romeu, Boufal, Sims, Long, Gabbiadini. The away dressing room is primed and ready to go at St James' Park. 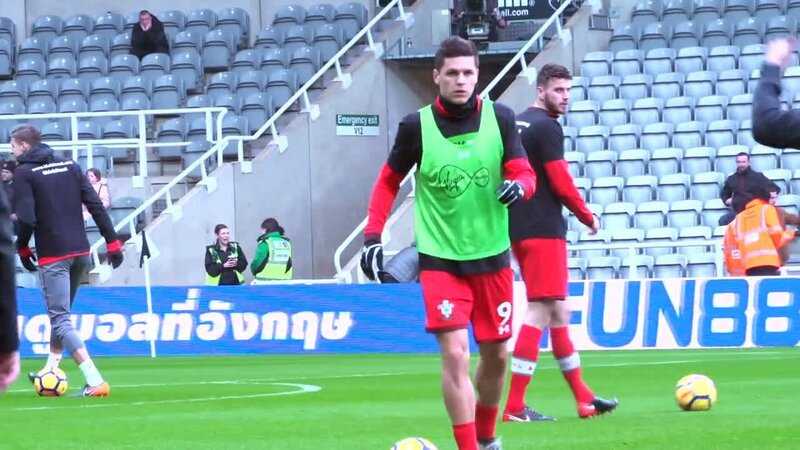 A slight change to the Saints home jersey today to avoid clashing with the Magpies' black and white stripes: an all red panel on the back of the shirts. “I think we have to be stronger on the road than we are at home. When you travel, a lot of things are against you; the opposition fans, sometimes the referee because everybody pushes him and in this moment we have to be supportive inside and outside the pitch to make sure we overturn them." Manolo Gabbiadini marked his return to the Southampton side by scoring both goals as Saints twice battled back to deny Newcastle victory at St Mary's. Gabbi's emphatic penalty cancelled out strikes from Isaac Hayden and Ayoze Perez. my feeling right now is that our spirit is good, togetherness is higher and we are ready." Check out our in-depth match preview to get up to speed ahead of today's 3pm kick-off. @SouthamptonFC Sydney, haven’t missed a game! - Saints have only failed to score in one of their last 19 Premier League games against Newcastle, netting in each of the last 12. - Newcastle are winless in their last seven Premier League meetings with Southampton (D3 L4), since a 4-2 win in February 2013. - Saints hold the second-longest active unbeaten streak away from home in the Premier League (four). A sold-out away section of 1,600 will be roaring on the team at St James' Park, a phenomenal effort given the 650-mile round trip facing our fans this afternoon. If you're already in Newcastle, on the motorway, or following from home, thank you all for support! their support means everything. we rely on the fans to get us through. them being there gives us a solid reminder of who we're in this for."